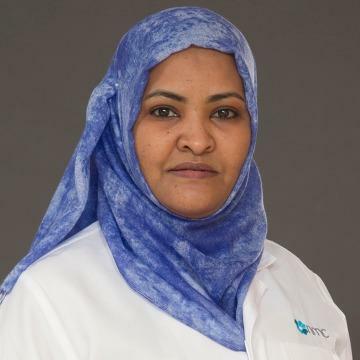 Dr. Jehan Abdelmoneim Awad completed her MBBS from Faculty of Medical and Health Sciences, Omdurman University, Sudan in 2004. She has been practicing medicine for 14 years and has accumulated vast experience working in OPD as General Practitioner. Dr. Jehan has special interest in child health and vaccines. She has attended many workshops, courses and conferences. Dr. Jehan has interest in Family Medicine and has passed the first part of MRCGP. Dr. Jehan is well versed in English and Arabic.